The dingo is Australia’s largest land-based predator, occurring across most of the mainland and on many nearshore islands. Our new research, published in the journal Mammal Review, reveals the breadth and diversity of dingo diets across the continent. We compiled and analysed 73 sets of data, containing details of more than 32,000 dingo droppings or stomach contents, to document the range of different species that dingoes eat, and how their diets vary between different environments. We found that dingoes eat at least 229 vertebrate species. This includes 62 small mammals (less than 500 grams in mass), 79 medium-sized and larger mammals, 10 species of hoofed mammals, 50 birds and 26 reptiles. Dingoes also eat insects, crustaceans, centipedes, fish and frogs. The true number of species is likely to be much higher because dingo diets have been poorly studied in many parts of Australia, such as Cape York Peninsula. Large (at least 7kg) and medium-sized (0.5-6.9kg) mammals were the most common components of dingo diets, followed by small mammals, rabbits, arthropods, reptiles, birds and hoofed animals. Average occurrence of eight food types in the diet of dingoes. Values represent the percentage of droppings/stomachs that contained each food type. A range of introduced pest species also feature in dingo diets, including deer, goats, rabbits, hares, black rats, house mice, foxes and cats. In recent decades, the occurrence of sambar deer in dingo diets has increased as this invasive species has expanded its range. 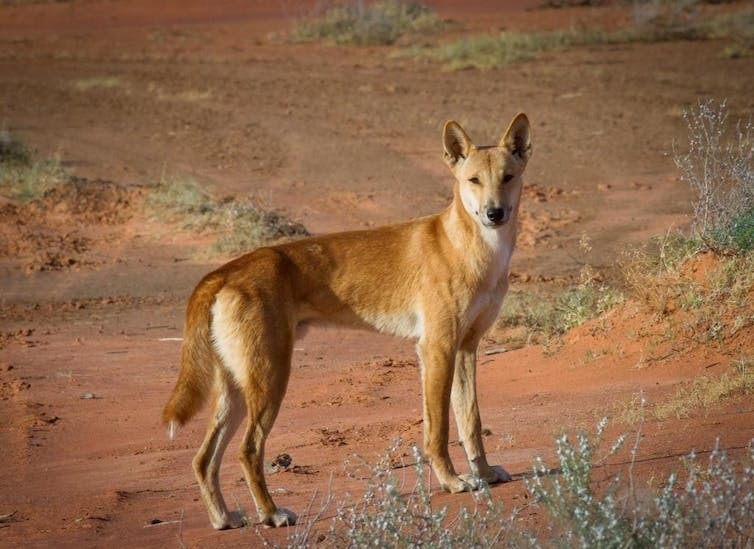 Dingoes also eat sheep and cattle, although dietary samples are unable to distinguish between predation and scavenging, and hence tell us little about dingo impacts on livestock production. Dietary samples also do not reveal instances of dingoes killing livestock without eating them. We found that what dingoes eat depends on where they live. For instance, in arid central Australia, birds, reptiles, rabbits, small mammals and insects form major parts of dingo diets. In contrast, these food groups are less important in temperate and subtropical eastern Australia, where medium-sized and large mammals such as kangaroos, bandicoots and possums are more important. Frequency of different food groups in dingoes’ diet. Each circle represents a study and is scaled proportionally with dietary occurrence; larger circles represent a higher frequency of that food type. Top row: arthropods and small mammals (less than 500g); middle row: reptiles and medium-sized mammals (0.5-6.9kg); bottom row: rabbits and large mammals (at least 7kg). The higher occurrence of medium-sized mammals in dingo diets in eastern Australia may be due to the lower extinction rates of native mammals there. In contrast, central Australia is a global mammal extinction hotspot, which probably accounts for the low occurrence of medium-sized mammals in dingo diets in arid and semi-arid areas. Nonetheless, one medium-sized mammal was a major food item for dingoes in arid areas: the European rabbit. In some areas, more than 50% of dingo droppings or stomachs contained the remains of this invasive species. It is possible that native medium-sized mammals previously constituted a major part of dingo diets in arid Australia, but have since been replaced by rabbits. Local prey availability plays a major role in determining what dingoes eat. For instance, in the Tanami Desert, reptiles were most common in dingo diets during warmer months when they are most active. However, very few studies have collected data on prey availability, partly because of the sheer number of different animals that dingoes eat. Dingoes kill or eat at least 39 native species that are classed as threatened or near-threatened on the IUCN Red List. These include the northern quoll, golden bandicoot and bridled nailtail wallaby. This tally is higher than the number of threatened species in feral cat diets (based on a previous study that used similar methods), even though cats eat almost twice as many different species overall as dingoes (400 and 229, respectively). Today’s threatened native species co-existed with dingoes for a long time before European colonisation, which means they were able to withstand dingo predation without going extinct. But now a combination of small population sizes of some threatened species and exacerbating factors such as habitat loss, foxes and cats means some threatened species could be vulnerable to even low levels of dingo predation. Predation by dingoes should therefore be a key consideration when attempting to conserve or restore threatened species. Dietary studies are one way we can understand how dingoes interact with other species. 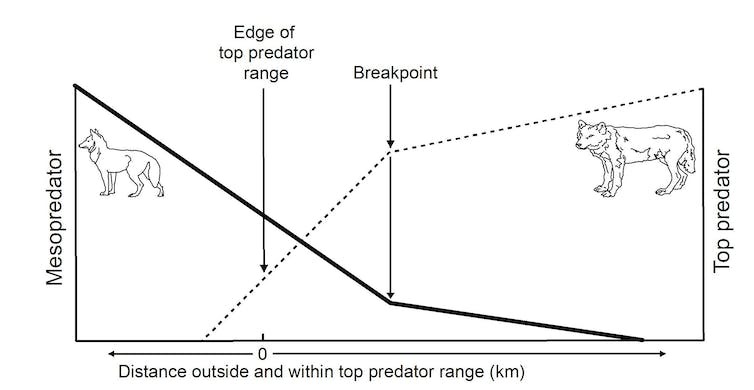 Our study also highlights that we still have much to learn about our native top predator. In many parts of Australia, the favourite foods of dingoes are still a mystery. The authors acknowledge the contribution of Naomi Davis, Dave Forsyth, Mike Letnic, Russell Palmer, Joe Benshemesh, Glenn Edwards, Jenny Lawrence, Lindy Lumsden, Charlie Pascoe, Andy Sharp, Danielle Stokeld, Cecilia Myers, Georgeanna Story, Paul Story, Barbara Triggs, Mark Venosta and Mike Wysong to this research. Has the Australian climate change debate changed? You could be forgiven for thinking the answer is no. Just this week The Australian has run a series of articles attacking the Bureau of Meteorology’s weather observations. Meanwhile, the federal and Queensland governments continue to promote Adani’s planned coal mine, despite considerable environmental and economic obstacles. 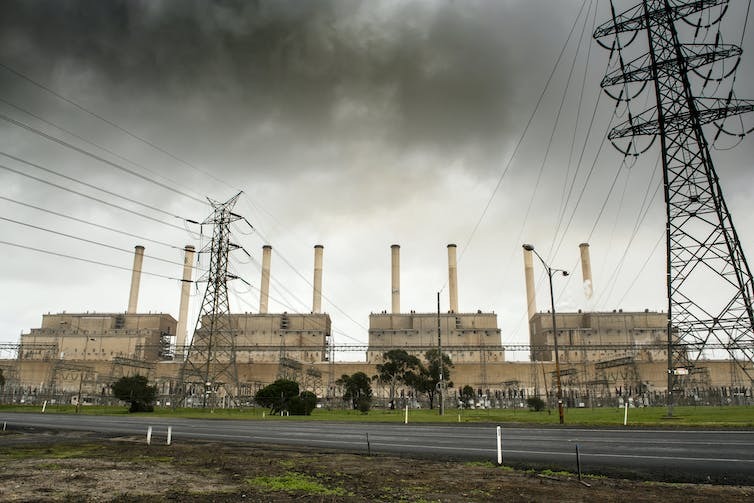 And Australia’s carbon dioxide emissions are rising again. So far, so familiar. But something has changed. Those at the top of Australian politics are no longer debating the existence of climate change and its causes. Instead, four years after the Coalition was first elected, the big political issues are rising power prices and the electricity market. What’s happening? Read more: No, the Bureau of Meteorology is not fiddling its weather data. Australia has had fires and floods since the beginning of time. We’ve had much bigger floods and fires than the ones we’ve recently experienced. You can hardly say they were the result of anthropic [sic] global warming. Abbott’s statement dodges a key issue. While fires and floods have always occurred, climate change can still alter their frequency and severity. In 2013, government politicians and advisers, such as Dennis Jensen and Maurice Newman, weren’t shy about rejecting climate science either. The atmosphere is different in 2017, and I’m not just talking about CO₂ levels. Tony Abbott is no longer prime minister, Dennis Jensen lost preselection and his seat, and Maurice Newman is no longer the prime minister’s business advisor. Which Australian politician most vocally rejects climate science now? It isn’t the prime minister or members of the Coalition, but One Nation’s Malcolm Roberts. In Australia, open rejection of human-induced climate change has moved to the political fringe. Roberts has declared climate change to be a “fraud” and a “scam”, and talked about climate records being “manipulated by NASA”. He is very much a conspiracy theorist on climate, as he is on other topics including banks, John F. Kennedy, and citizenship. His approach to evidence is frequently at odds with mainstream thought. This conspiratorial approach to climate change is turning up elsewhere too. I was startled by the author list of the Institute of Public Affairs’ new climate change book. Tony Heller (better known in climate circles by the pseudonym Steven Goddard) doesn’t just believe climate change is a “fraud” and a “scam”, but has also promoted conspiracy theories about the Sandy Hook school massacre. This is a country mile from sober science and policy analysis. So where is the Australian political mainstream? It’s not denying recent climate change and its causes, but instead is now debating the policy responses. This is exemplified by political arguments about the electricity market, power prices, and the Finkel Review. While this is progress, it’s not without serious problems. The debate may have rightly moved on to policy rather than science, but arguments for “clean coal” power are at odds with coal’s high CO₂ emissions and the failure thus far of carbon capture. Even power companies show little interest in new coal-fired power plants to replace those that have closed. The closure of the Hazelwood power station was politically controversial. Have those who rejected global warming and its causes changed their tune? In general, no. They still imagine that scientists are up to no good. The Australian’s latest attacks on the Bureau of Meteorology (BoM) illustrate this, especially as they are markedly similar to accusations made in the same newspaper three years ago. This week, the newspaper’s environment editor Graham Lloyd wrote that the BoM was “caught tampering” with temperature logs, on the basis of measurements of cold temperatures on two July nights at Goulburn and Thredbo. For these nights, discrepant temperatures were in public BoM databases due to automated weather stations that stopped reporting data. The data points were flagged for BoM staff to verify, but in the meantime an amateur meteorologist contacted Lloyd and the Institute of Public Affairs’ Jennifer Marohasy. In 2014, Lloyd cast doubt on the BoM’s climate record by attacking the process of “homogenisation,” with a particular emphasis on data from weather stations in Rutherglen, Amberley and Bourke. 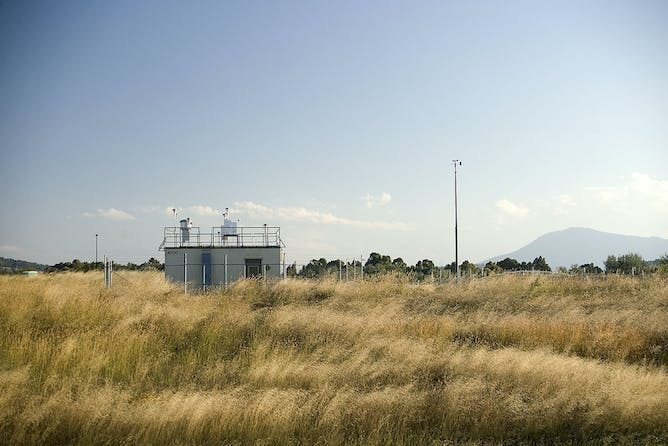 Homogenisation is used to produce a continuous temperature record from measurements that may suffer from artificial discontinuities, such as in the case of weather stations that have been upgraded or moved from, say, a post office to an airport. The Tuggeranong Automatic Weather Station. Lloyd’s articles from this week and 2014 are beat-ups, for similar reasons. The BoM’s ACORN-SAT long-term temperature record is compiled using daily measurements from 112 weather stations. Even Lloyd acknowledges that those 112 stations don’t include Goulburn and Thredbo. While Rutherglen, Amberley and Bourke do contribute to ACORN-SAT, homogenisation of their data (and that of other weather stations) does little to change the warming trend measured across Australia. Australia has warmed over the past century, and The Australian’s campaigns won’t change that. In 2014, the government responded to The Australian’s campaign by commissioning the Technical Advisory Forum, which has since reviewed ACORN-SAT and found it to be a “well-maintained dataset”. Prime Minister Abbott also considered a taskforce to investigate BoM, but was dissuaded by the then environment minister Greg Hunt. How will Malcolm Turnbull’s government respond to The Australian’s retread of basically the same campaign? Perhaps that will be the acid test for whether the climate debate really has changed.